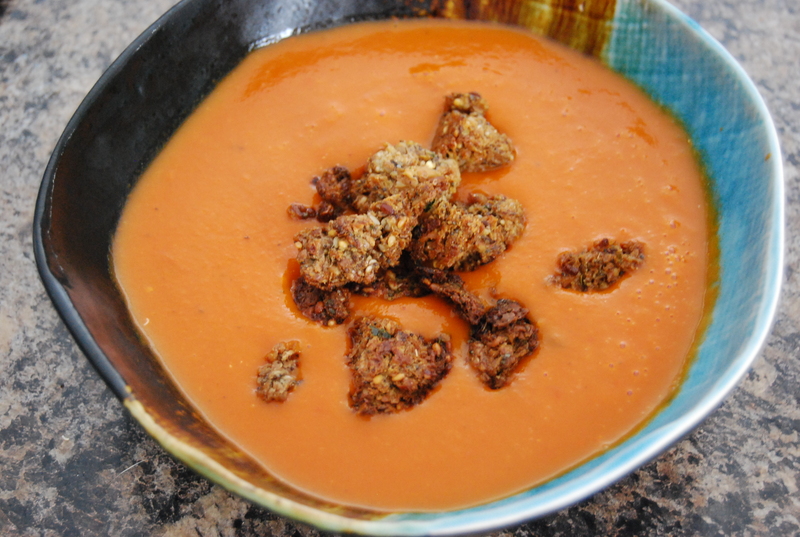 Funny thing…I hated tomato soup as a kid. But something has changed. These days I find a hot bowl of tomato soup very comforting. I adapted this recipe from Martha Stewart to make it 100% vegan. What makes a big difference between good tomato soup and great tomato soup like this one 😉 …is the tomatoes. Go figures huh? 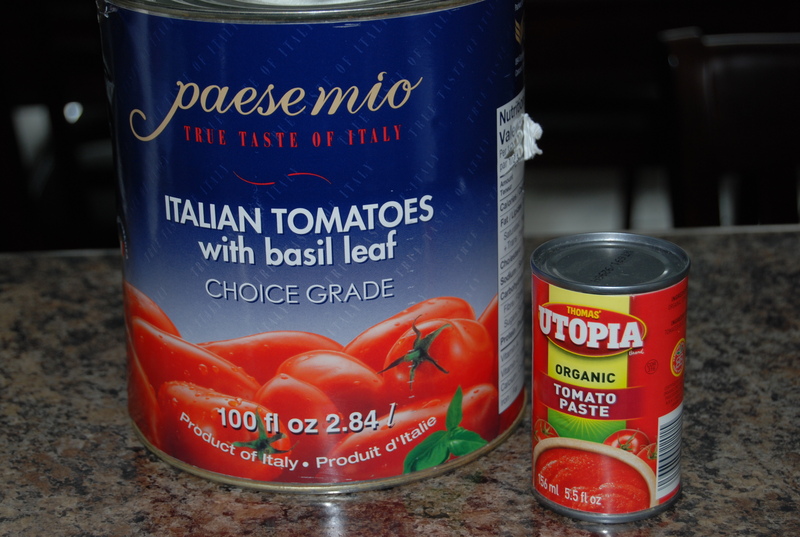 No seriously, if you can get your hands on a good quality whole peeled tomatoes with basil you won’t be disappointed. So are you ready to make some kickass tomato soup? In a large saucepan melt Earth Balance over medium heat. 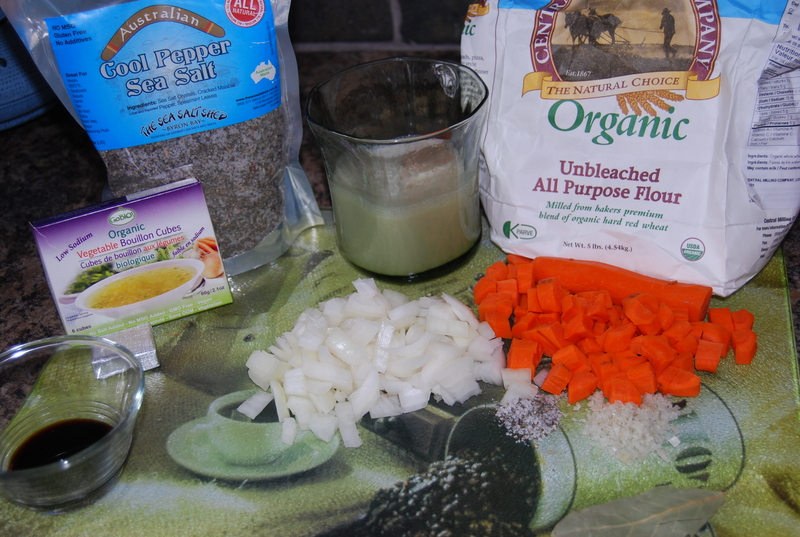 Add oil, carrot and onion and season with salt and pepper. Cook until the onion is translucent and the carrots are well on their way to softening, about 7 to 8 minutes. Add the splash of vinegar at stir until cooked off. Turn heat to low and add flour. Incorporate into the onion and carrots. Add tomato paste and cook for 1 minute to distribute the paste and cook off the flour taste. Add vegetable broth and bay leaf. Remove from heat. Let sit for about 20-30min to cool it down. 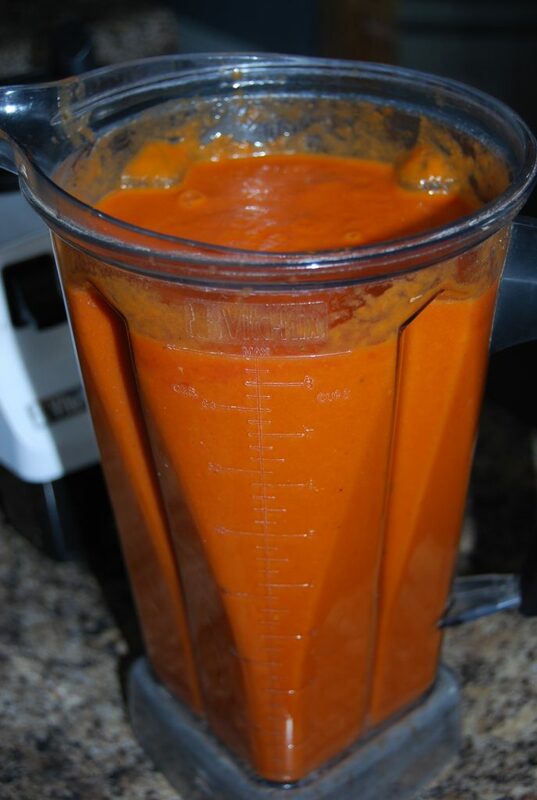 Carefully transfer soup into a blender, puree until you’ve reached the desired consistency. This might have to be done in 2-3 batches, depending on the size of your blender. Maybe you like your soup chunkier than some folks! This might have to be done in 2-3 batches, depanding on the size of your blender. Return pureed soup to the pot and stir in coconut milk. Season with salt and pepper to taste. This serves 8. If you end up with leftovers you can freeze it for later. Let cool to room temperature before dividing among airtight containers or jars (leaving 1 inch of space at the top) and freeze.